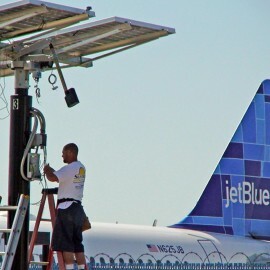 Pomona College Solar Project by Suntrek Industries. Suntrek provided the college with a commercial solar water heating system and commercial solar electric (PV) system. Pomona College Named One of the Nation’s “Top 50 Green Colleges” by The Princeton Review. At No. 15 on the list, Pomona is one of four Southern California institutions in the top 50, with the others being UC Santa Barbara (No. 3), UC Irvine (No. 16) and Cal Poly Pomona (No. 30). These and other institutions are highlighted in The Princeton Review Guide to 353 Green Colleges. The Princeton Review chose the schools for this sixth annual edition of its “green guide” based on data from the company’s 2014 survey of hundreds of four-year colleges concerning the schools’ commitments to the environment and sustainability. For the Top 50, the review used data from its institutional survey and its surveys of students at the 353 colleges in the book to tally the ranking list. Located in Claremont, Calif., Pomona College is widely regarded as one of the nation’s premier liberal arts institutions. The College has pledged to reach carbon neutrality by 2030, and campus energy use was reduced 7.8 percent in 2013-14. The College also has continued its major investments in green building construction, which will have positive effects on future resource use. 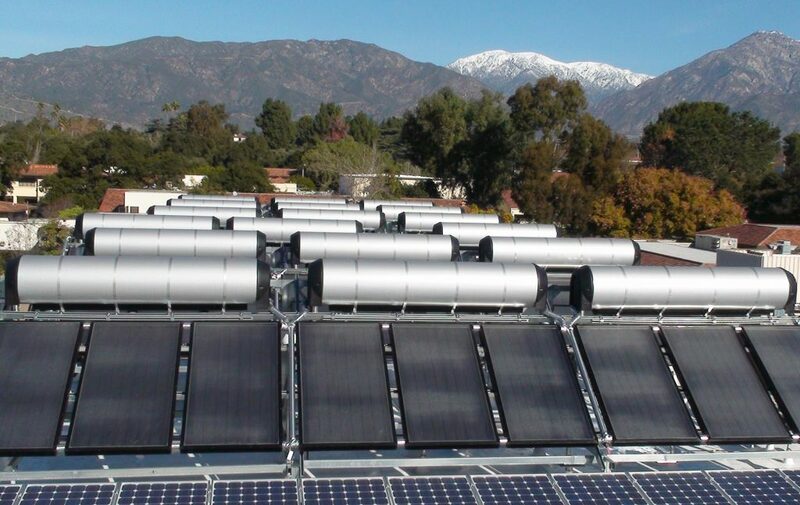 Suntrek designed and installed a large scale solar water heating system and solar electric system for the school. This will not only reduce gas and electric bills for the school, but also reduce the carbon footprint of the college by relying on renewable solar energy.